Revenge is a dish best served funny. Or better yet, success is the greatest form of vengeance. Collaborative filmmakers Phil Lord and Chris Miller certainly know it. After being canned from the lowest grossing (and dullest) Star Wars movie, Solo (2018), Lord and Miller successfully rebounded with Spider-Man: Into the Spider-Verse (2018). It was awarded Best Animated Feature Film at the Oscars earlier this year. All the fun and colour that vacated Solo when the pair left the Disney building was injected into one of the best superhero movies ever made. The comedic duo rose through the ranks of Hollywood with oddball comedies, including the animated feature Cloudy with a Chance of Meatballs (2009) and the mega-successful Jump Street franchise that starred Jonah Hill and Channing Tatum. 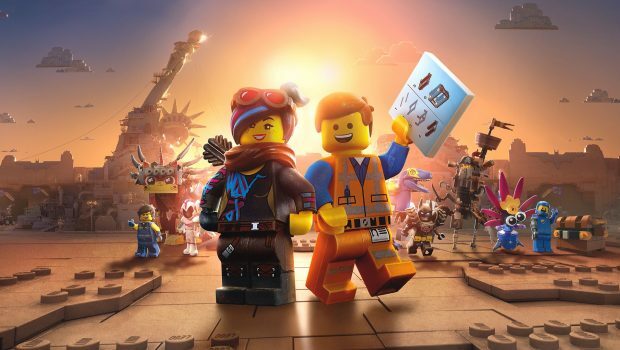 In 2014, Lord and Miller surprised many with the heart and success of The Lego Movie. What could have been a shallow two-hour advertisement for children’s building blocks instead cemented itself as an animated classic. Evidently, the two have a knack for injecting life into cartoons. 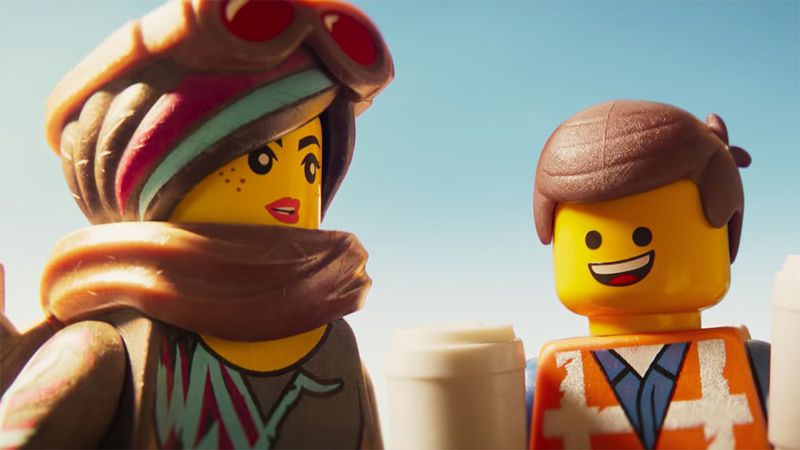 What made the first Lego Movie charming was its ability to have fun with its toys and stacking meta-jokes on top of one another without the tower collapsing. Witnessing a Lego Superman avoid his fellow superhero, Green Lantern, like an annoying neighbour was worthy of a spin-off sitcom. After the first Lego Movie raked in enough money to build a planet made of toy bricks, the sequel, subtitled The Second Part, was inevitable. 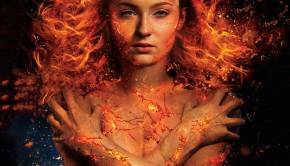 It is a film that keeps the spirit of the original alive. However, with the pleasant-surprise factor missing, it narrowly misses out on topping the first one. The sequel commences at the exact moment the first movie ended. 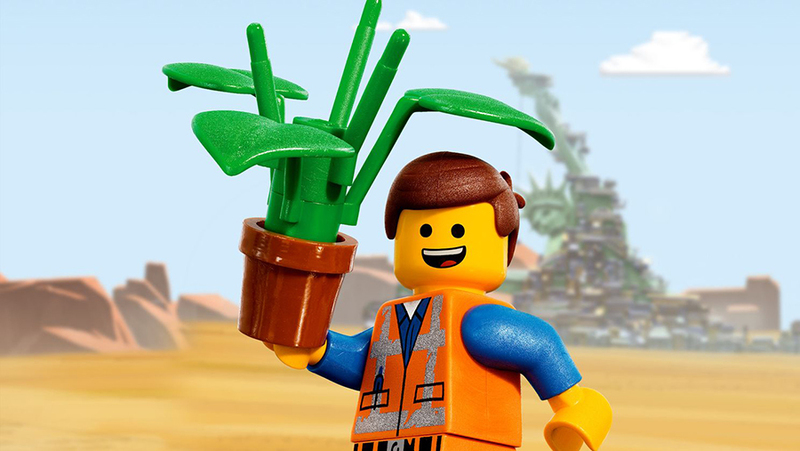 We are reintroduced to Emmet (voiced by Chris Pratt), an overly positive and dorky hero, not unlike the real Chris Pratt, who has saved the world from The Kragle. President Business’s 1984-style oppression has been replaced by the alien invasion of Little Sister’s more cutesy Lego pals, Duplo. They have come to destroy Emmet’s city of Bricksburg. Fast-forward five years and the city is now a Mad Max-esque wasteland; the characters must adapt to this post-apocalyptic scenario. The Cat Lady now has an army of cat warriors. Surfer Dave is now known as Chainsaw Dave and Batman (Will Arnett) has become even more badass with a giant Gatling gun armchair. Emmet remains blissfully unaware and is happily living in a world that either rejects him or is too brutal for his puppy dog nature. Emmet’s tough as Lego-bricks partner, Lucy/Wyldstyle (Elizabeth Banks), is still by his side and rolling her eyes at his naive ways. The stakes increase when General Mayhem (Brooklyn Nine Nine’s Stephanie Beatriz), a Daft Punk sounding robot space warrior, tears through the city’s defence system with stars that giggle and love hearts that explode like grenades. Lucy, Batman, Benny the Spaceman, Unikitty and others are kidnapped and taken to a planet run by Queen Watevra Wa’Nabi (voiced by the hilarious Tiffany Haddish), a shape shifting life-form that sings her inner monologue from time to time. The musical element is one step forward from the prequel. 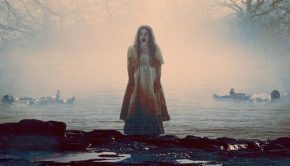 The Second Part has enough musical numbers to make it count as a genre film. 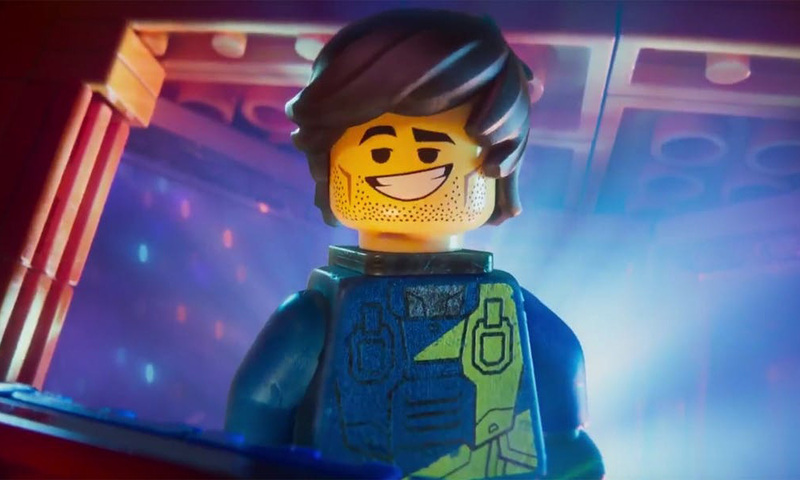 The annoyingly catchy ‘Everything is Awesome’ theme song has been replaced by self-explanatory ‘This Song is Gonna Get Stuck Inside Your Head’ by Dillion Francis. The evil Queen entertains her newest ‘guests’ and reveals that her plot to marry Batman will somehow bring destruction to the world. If you could not tell already, the plot is a little messy. Nonetheless, Emmet is once again thrown into the hero role and vows to rescue his friends. Chris Pratt pulls double-duties here as he also voices the character Rex Dangervest, an adventurer somewhere between Johnny Karate from Parks and Recreation and any Kurt Russell character from the 1980s. The silly adventures are not what weakens the movie. The absurdist humour and action set pieces are what fans have come to love about this film series. It is when the movie attempts to recreate a moment about family, akin to its predecessor, that the train derails. The unexplained rules between the human world and Lego universe become blurred as the movie wedges into a Toy Story-shaped lane. Why Mike Mitchell, who made Deuce Bigalow: Male Gigolo (1999) and Trolls (2016), was hired to direct is a head scratcher. 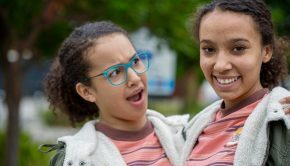 Thankfully, the story by Lord, Miller and Mathew Fogel provides enough character development to keep those of us above the age of 12 cheering. Lucy’s battle with self-identity is thoughtful and beautifully handled. As the plot progresses the Lego characters are confronted with a reality that could see them concealed in a toy chest forever (*cough* Toy Story 2 *cough*). The plot becomes convoluted in the third act and resembles a rushed construction job a ten-year-old would have assembled on the fly. Once you see the movie, you may realise that this is almost the point. Despite some blemishes, the film impresses with some amazing visuals. Australia’s visual effects company Animal Logic deserves credit for another job well done. The visuals and the consistent laughs carry the sequel not into classic territory but a nice enough spot among the Lego movie franchise. 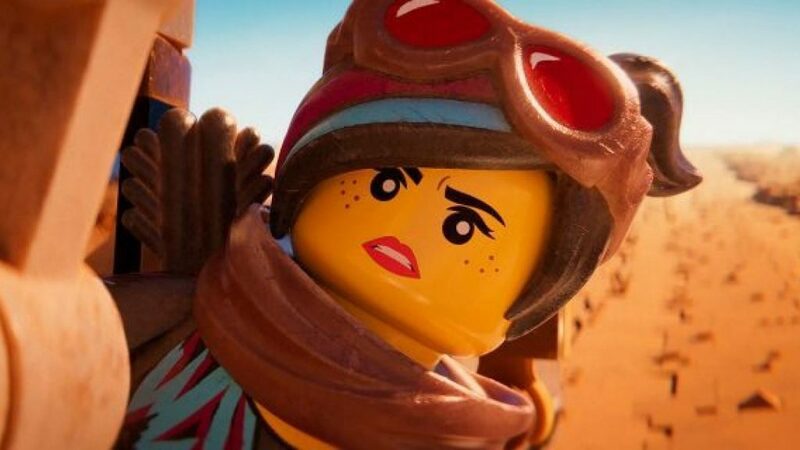 Though admittedly, it would be hard to make a Lego movie worse than Ninjago (2017). 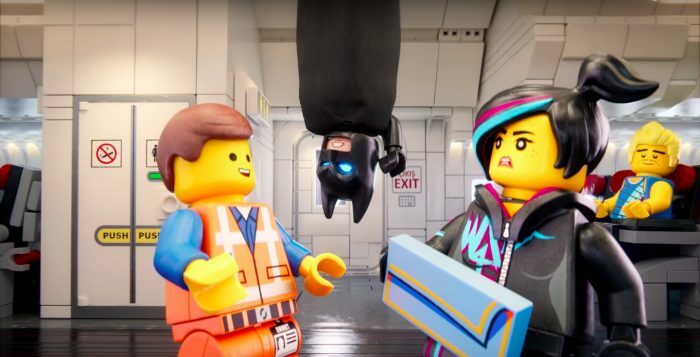 The Lego Movie 2: The Second Part has enough silly laughs and pop culture references to keep children and adult audiences happy. While it does not match its predecessor, it stands on a strong enough foundation for it to reach movie heaven. Summary: The visuals and the consistent laughs carry the sequel not into classic territory but a nice enough spot among the Lego movie franchise.